I'm trying to convert the coordinates of an exome vcf file (hg19) to a vcf with the latest reference's (grch38) coordinates. The command I use is below along with the error. The error is rather vague and I'm not sure what's going wrong. Can you help me? Thanks! 3 INFO    2017-07-17 14:07:47     LiftoverVcf     Loading up the target reference genome. 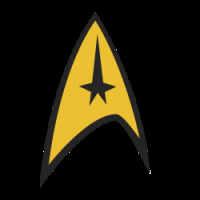 4 [Mon Jul 17 14:07:47 CDT 2017] picard.vcf.LiftoverVcf done. Elapsed time: 0.01 minutes. Picard LiftoverVcf recently got some updates. So please be sure to use v2.10.2. That being said, your error does not appear to be related to the recent fixes. It seems that you are missing either a file the tool expects, e.g. reference index or dictionary, or your input file contains variants that do not match up to the reference. Can you rerun your command with the latest Picard release and post the error? Thanks.